This is a Reprint Novelty! Card is NMT/MNT, but off center. 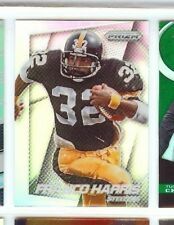 1976 TOPPS FOOTBALL #100 FRANCO HARRIS #100 PITTSBURGH STEELERS EXCELLENT COND. Sharp Corners, bright colors clean back. 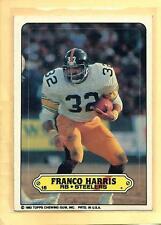 Hall of Famer and Steelers Great Franco Harris. PLEASE SEE PHOTOS FOR CONDITION AND TO JUDGE FOR YOURSELF. 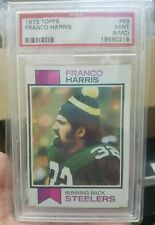 1978 Topps #500.